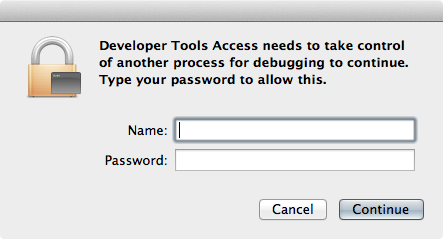 ▲ 表示される 1 つ目。"Developer Tools Access needs to take control of another process for debugging to continue. Type your password to allow this." 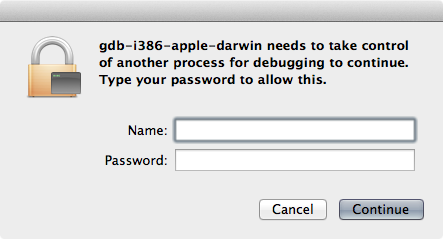 ▲ 2 つ目。"gdb-i386-apple-darwin needs needs to take control of another process for debugging to continue. Type your password to allow this."